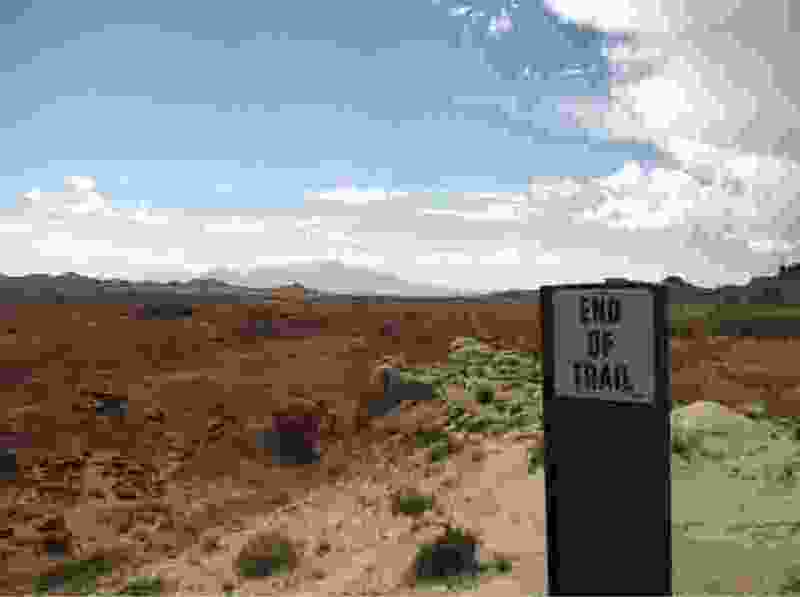 (Nate Carlisle | The Salt Lake Tribune) A sign marks the end of the Curtis Bench Trail in Goblin Valley State Park. The trail concludes with a view of Goblins on the valley below and the Henry Mountains in the distance. A few years ago, Utah's Legislature passed a law demanding the federal government turn over millions of acres of America's public lands to the state of Utah. The feds didn't comply, so our anti-public lands politicians set aside $14 million of our tax dollars for a court case. Their scheme has not yet developed, but the threat still exists and is real. The threat to Utah's public lands isn't only a statewide land grab. The proposed Emery County lands act would transfer ownership of 10,000 acres of public land to the state for inclusion in Goblin Valley State Park. Now we learn Utah legislators want to take ownership of part of the Grand Staircase-Escalante National Monument and make it a state park. The state's goal, whether by parts or all at once, is to control and own public lands in Utah. To my neighbors in Millcreek and throughout Utah, these lands belong to you, and me, and ALL Americans, and we need to respond! Contact your city and county officials and ask them to pass a resolution telling the governor and Legislature to abandon their land grab. Keep public lands in public hands.